Can buying a work of art at auction really be as easy as purchasing a train ticket or a book on Amazon? 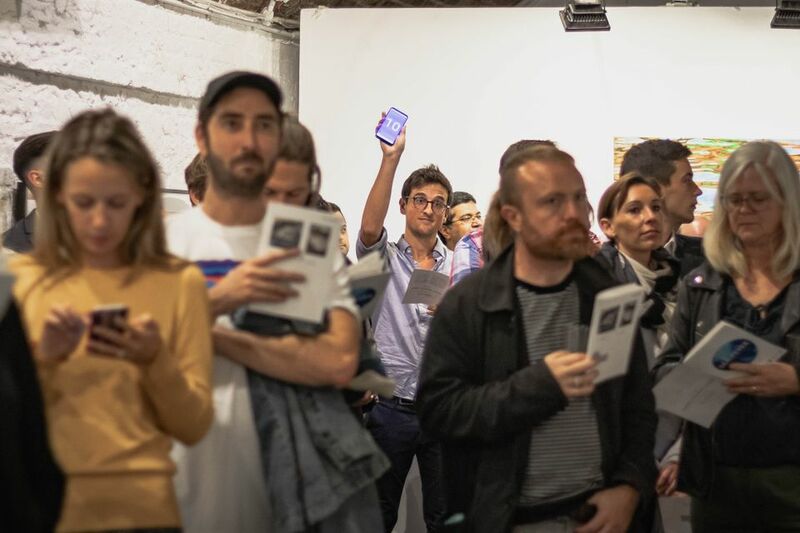 Yes, says the young team behind The Auction Collective, a UK-based pop-up auction house aimed at the primary market, which has developed bidding technology that is designed to simplify the daunting process of buying at auction for the millennial buyer. Tom Best, an auctioneer and former post-war and contemporary art specialist at Christie’s, set up the company in September 2017 after “seeing lots of friends at a stage in their lives where they wanted to own a painting, and lots of emerging and under-represented artists who were struggling to sell artwork”. Recognising that many of his contemporaries found the idea of bidding at auction complex, and expensive, Best, 31, wanted to simplify the auction process, so he eliminated buyer’s commission, streamlined the payment system, and created downloadable bidding paddles for smartphones and tablets. The most recent auction, Sea Fever, was held at London’s Hoxton Arches on 13 September. Of the 53 lots, 37 works by 26 artists were sold at an average price of £644 to 30 buyers. Artists consign their work directly to The Auction Collective, which then takes a 35% flat fee commission. “The artists drop off the works framed and ready to hang. We put them on the wall, take all the risk of the auction and cover all the costs”, Best says. He still believes in having a physical exhibition and physical auction: “As an auctioneer I know that I can get 20% extra for each sale by being a human and asking the under bidder to go one more, and then going back to the buyer to get the final bid - you can’t get that with an online auction”. The next auction, Paper, Scissors, Stone, is in collaboration with Catie van Beuningen and takes place on 8 November at Alon Zakaim Fine Art, 5-7 Dover Street, London.